Public Profile, Online Promotion, Exclusive Artist Strategies & Resources. 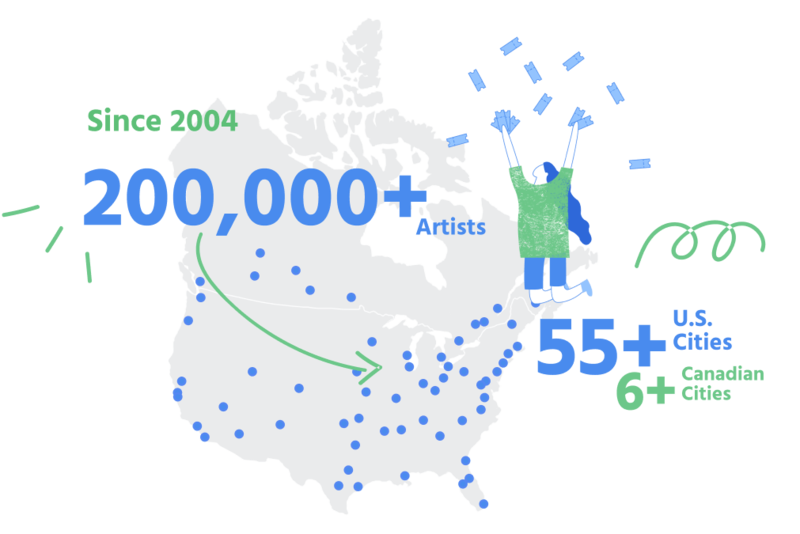 Tour options in 55 U.S. Cities open for Nationally Touring Artists. No Graphic Artist needed! Flyers, Posters & Handbills. Shipped right to your door! 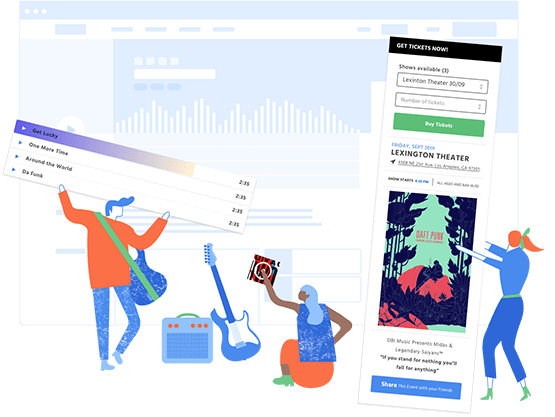 Our all-inclusive platform was built by musicians, for musicians. Our goal is to help fellow artists at every stage of their careers. We offer everything you need to succeed, all in one place – and membership is free. Easy & Reliable. Convenient & simple. Professional tools & online platform. The consistency of show dates. Easy & Reliable. Convenient & simple. Professional tools & online platform. The consistency of show dates. Their persistence and flexibility. Great Venues. The ease of communication. Very professional and organized. Their persistence and flexibility. Great Venues. The ease of communication. Very professional and organized. Timely and open communication. Process is easier than any other booking I’ve done. Chance to play great venues. Timely and open communication. Process is easier than any other booking I’ve done. Chance to play great venues. The process is streamlined with lots of explanation. The user friendly online platform. It’s free and they help me with promo. The process is streamlined with lots of explanation. The user friendly online platform. It’s free and they help me with promo. The consistency of show dates. Easy & Reliable. Very professional and organized. The consistency of show dates. Easy & Reliable. Very professional and organized. The user friendly online platform. Chance to play great venues. Their persistence and flexibility. Process is easier than any other booking I’ve done. The user friendly online platform. Chance to play great venues. Their persistence and flexibility. Process is easier than any other booking I’ve done. It’s free and they help me with promo. The process is streamlined with lots of explanation. It’s free and they help me with promo. The process is streamlined with lots of explanation. What’s your favorite thing about Afton? We make booking fast, easy & simple. Your customizable MyAfton account gives you all the tools you need for a successful show. We front all the money, handle all logistics with the venue, book the other artists; we do all the legwork. You just help promote the show and perform. MyAfton was created by musicians, for musicians. We’ve been in your shoes and have experienced firsthand how confusing and cutthroat the music industry can be. That’s why we created a free platform that gives you all of the tools you’ll need to succeed. Whether you’re looking to book more shows, optimize your promotion or just need a better way to manage your workload as a musician, your free MyAfton membership will help you every step of the way. 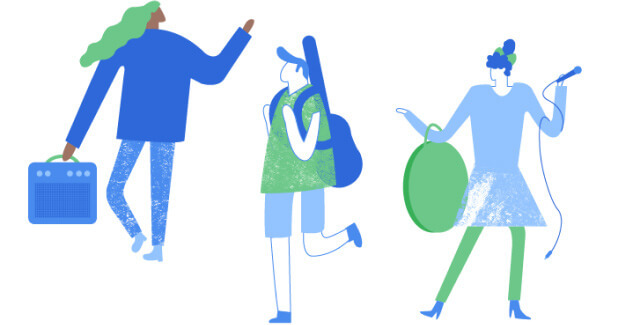 Join our artist community for free Tips, Resources, and Opportunities. 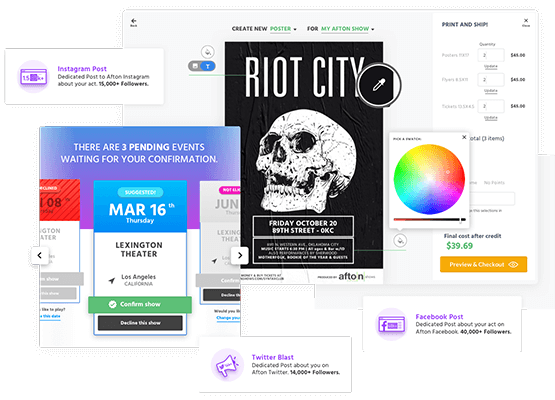 We offer artists a free platform that manages booking, promotion, ticketing and flyers all in one place, MyAfton saves you time (and money) while cutting out the distractions and the hassles associated with other services that only accomplish one goal.